Superconductivity: Physics and Applications brings together major developments that have occurred within the field over the past twenty years. Taking a truly modern approach to the subject the authors provide an interesting and accessible introduction. Brings a fresh approach to the physics of superconductivity based both on the well established and convergent picture for most low-Tc superconductors, provided by the BCS theory at the microscopic level, and London and Ginzburg-Landau theories at the phenomenological level, as well as on experiences gathered in high-Tc research in recent years. Kristian Johan Fossheim is a Norwegian physicist. He was born in Jølster. He took the dr.philos. degree in 1972, was an associate professor at the Norwegian Institute of Technology from 1970 to 1980, and professor from 1980. 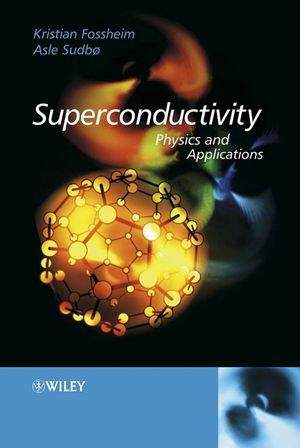 Asle Sudboe is the author of Superconductivity: Physics and Applications, published by Wiley. 1. What is superconductivity? A brief overview. 3. Fermi-liquids and attractive interactions. 4.The superconducting state. An electronic condensate. 5. Weak Links and Josephson Effects. 6. London Approximation to Ginzburg-Landau Theory (constant). 7. Applications of Ginzburg- Landau Theory (spatially varying). 8. More on the Flux-line System. 9. Two-dimensional superconductivity. Vortex-paired unbinding. 10. Dual description of the superconducting phase transition. 12. Superconducting Wire and Cable Technology. Historical notes on supeconductivity: the Nobel Laureates.